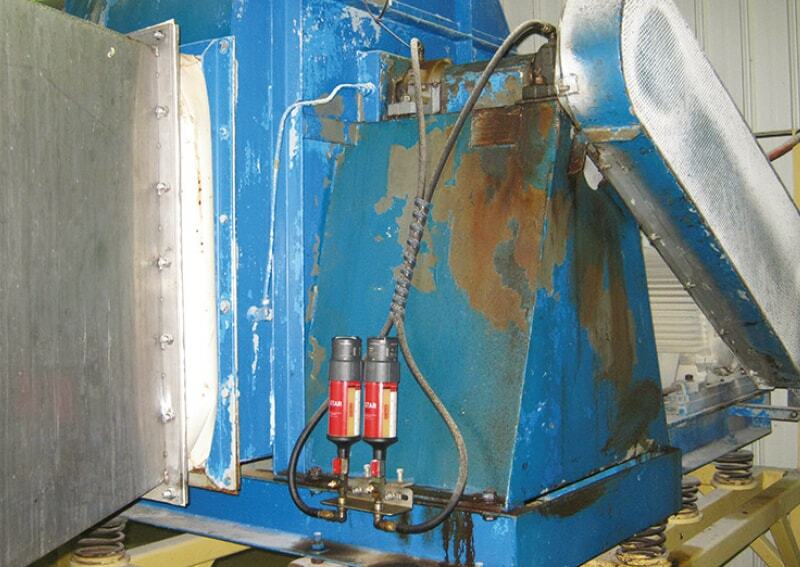 Fan support bearings require particular attention when devising a lubrication strategy. Because a broad range of bearing types can be employed it is important to understand the bearing and seal types before proceeding. This information is critical in order to understand the optimal grease delivery points, grease flow paths, the requirements for efficient grease exchange and the point(s) of grease exit from bearing housings. > Ensure that the bearing housing is correctly packed with grease in order to ensure efficient grease exchange. This is especially important for bearing types which must be re-lubricated from the side, rather than via a central re-lubrication groove. > Where contact seals which are not free purging are in use, such as double lip seals, ensure that a suitable point for grease relief is introduced to the housing in order to avoid over-lubrication. > Consider the use of high performance greases which can withstand the high rate of mechanical work which is applied by high speed rolling element bearings such as spherical roller bearings. The lubrication points (roller bearings) are located at the drive shaft between drive motor and fan impeller. Bearings and shaft seals must be permanently supplied with the right lubricant in the amount specified by fan manufacturers. Blowers and fans are often used in extreme operating conditions with many contaminants in the air. Dust and other substances entering the bearing system will lead to increased wear of individual components and a shorter service life of the fan. Regular lubrication of bearings and seals is essential for uninterrupted operation. Fan and blower lubrication points are often extremely dirty and hard to reach, which makes maintenance even more difficult. When manufacturer recommended lubrication intervals are not observed, the system will eventually fail as a result of lubricant starvation.